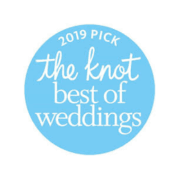 This picturesque farmstead and vineyard wedding venue is situated on 40 acres just west of historic Scandia, MN, 35 minutes from the Twin Cities of Minneapolis/St. Paul. We aspire to create a distinctly memorable experience within the romantic farm style spaces adorned with gardens, modern updates and a guest-focused attention to detail. We can accommodate up to 175 guests with two wonderful ceremony options. You can choose a beautifully restored early 1900’s 2-level barn with grand staircase and hayloft or a vineyard site with a stone arch and gate with acres of lawns and gardens to enjoy. Separate reception and social hour spaces are included so no resets in front of guests. The photo opportunities are endless for memories that will last a lifetime. We look forward to sharing our farmstead with you and to celebrate your wedding day.